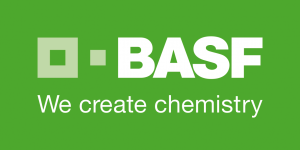 BASF Crop Protection has a global license giving their agrochemical researchers in Germany and India access to Cresset computational chemistry tools. Cresset is the exclusive global distribution and support partner for BioMolTech’s protein-ligand software Lead Finder. Biospire distributes Cresset software in Japan. The Cambridge Crystallographic Data Centre (CCDC) is dedicated to the advancement of chemistry and crystallography for the public benefit through providing high quality information, software and services. CCDC and Cresset work together to make the fragments and conformations from the Cambridge Structural Database (CSD), the world’s only comprehensive, up-to-date, and fully-curated knowledge base of small molecule crystal structures, accessible through Spark. Combining Cresset’s computational chemistry expertise with Concept Life Science’s experimental chemistry and biology capabilities, enabling delivery of fully integrated drug discovery programmes from leaders in their respective fields. Cresset and Domainex have formed an alliance to provide their customers with world-class laboratory-based and computational drug discovery services through a seamless combination of their respective capabilities in chemistry and biology. The alliance will give clients fully-integrated access to the renowned expertise of Domainex in protein expression, biochemical assays, hit identification, computational and medicinal chemistry; and to Cresset’s world-class approach to hit identification and drug design using its proprietary computational technologies. Cresset and Elixir Software have formed an alliance whereby the combination of their technologies will form the basis of a new groundbreaking application, which will radically increase the efficiency of drug discovery by managing, analyzing and reporting all processes within and between projects. eMolecules provides business intelligence data and integrated ecommerce software for screening compound, chemical building blocks and primary antibody supply chains. Spark reagent databases are based on available compounds from eMolecules. Eurofins Selcia Drug Discovery, part of Eurofins Pharma Discovery Services, has a strong track record in Integrated Drug Discovery. Their predominantly ex-big pharma team are experienced in the design of molecules that enter the brain. Eurofins Pharma Discovery Services and Cresset are collaborating on a novel gene transcription modulators project with Parkinson’s UK. Medicines Discovery Catapult is a national facility connecting the UK community to accelerate innovative drug discovery. They provide unique scientific capabilities and act as a gateway to UK resources and expertise, supporting UK SMEs to drive the development and industrialisation of new approaches for the discovery of new medicines. By validating new ways of discovering medicines and driving key talent and expertise across the sector, they support the UK life sciences industry, SMEs and innovators to deliver growth for the UK economy and maintain the UK’s heritage position as a global leader in medicines R&D. Optibrium makes software that guides decisions involving complex, uncertain data in an intuitive way. Their primary product is StarDrop, which helps researchers deliver optimally balanced drugs. Cresset are proud to provide the Torch3D plugin to StarDrop.